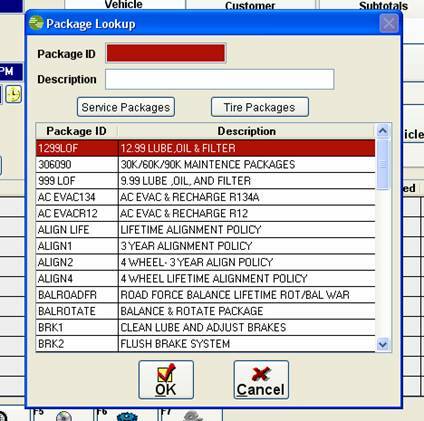 When selling a package that has been defined to automatically look up a part in the parts catalog, for some vehicles, the part may not be listed. 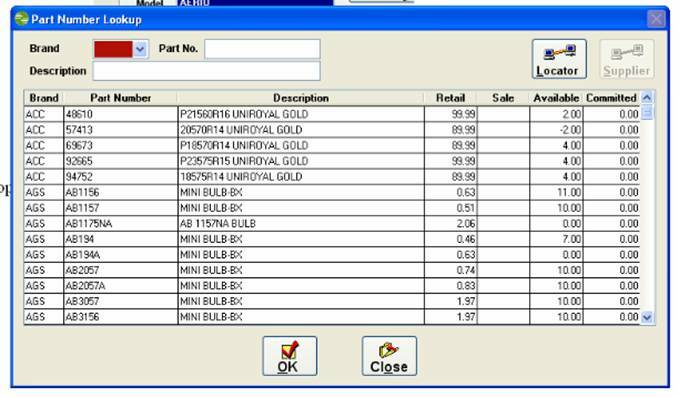 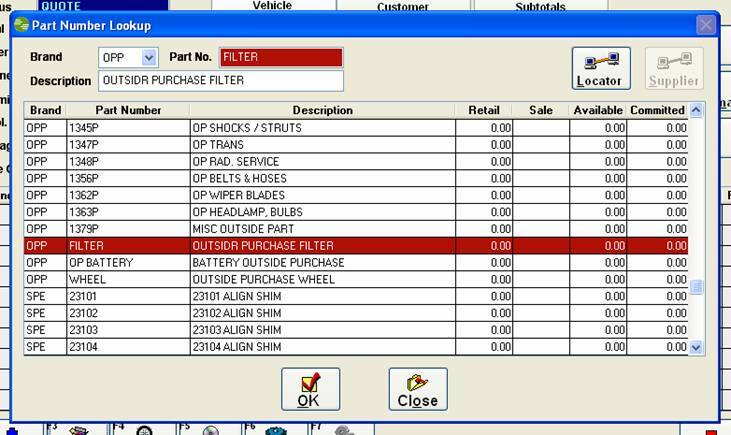 This could happen because the vehicle is too new for aftermarket parts or that line codes set up in the catalog may not have a part for the particular vehicle.� The example below walks through the process. 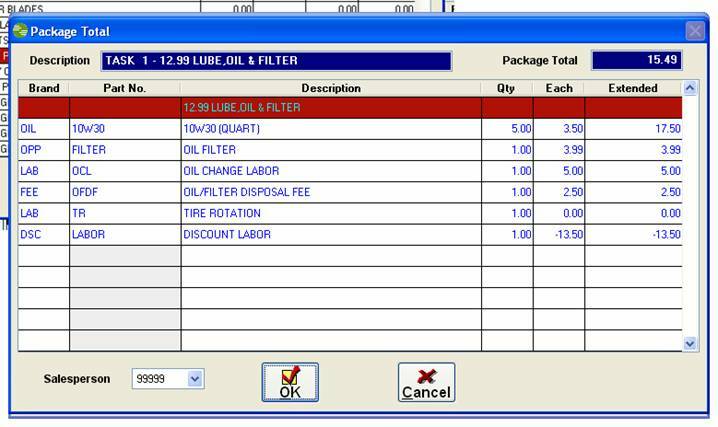 1.������ We started a ticket for a 2004 Suzuki Aerio, we clicked the Package button and will choose to sell the 12.99 Lube , Oil, and filter package. 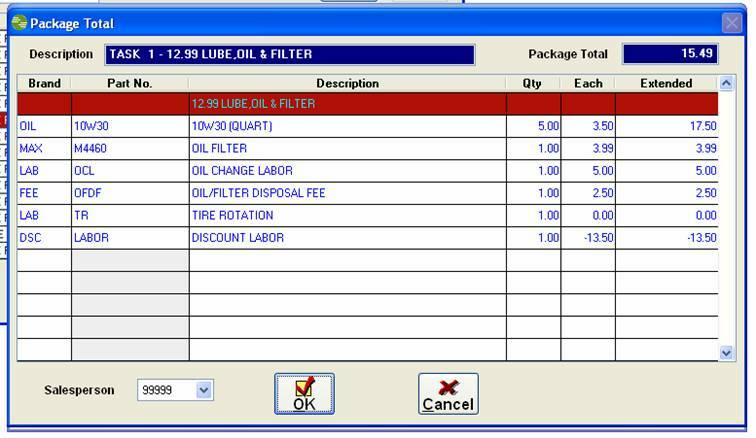 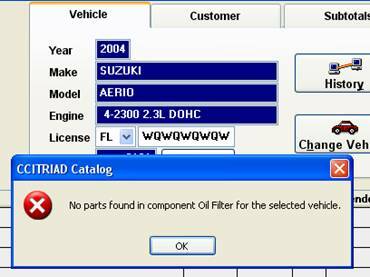 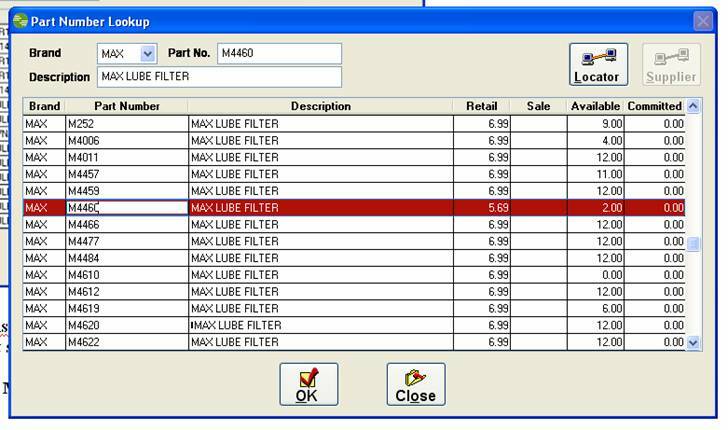 The predefined Oil package is using the outside purchase part number you chose from inventory file, when you receive OPP FILTER, you can enter the actual part number for the filter.